For two months, Bacarri Rambo fought an internal struggle to listen to himself and not what the NFL was telling him. After getting cut by the Washington Redskins in the middle of September, the second-year safety went unsigned, despite a handful of workouts and the fact he was an intriguing prospect before Washington took him in the sixth round last year. Rambo heard the message, and if not for a pep talk from his workout partner – a guy who knows what it’s like to have a team say goodbye to him – he might have lost all hope. "My mentor, Brian Dawkins. I was out in Denver training with him and he was leading me the right way, I really thank him for that," Rambo told FOX Sports from a victorious Buffalo Bills locker room after Rambo’s new team stunned the Green Bay Packers 21-13 on Sunday. "He told me, ‘Once you get your chance, let the Redskins regret letting you go and all the other teams for passing you up.’ Also my family, my wife, my dad, my brother, my mom, my in-laws, my agents Joel Segal and Greg Barnett, that was all my support staff. They stayed in my ear and said, ‘Once you get your chance, God has a plan for you, take advantage and give Him all the credit and glory at the end of the day.’"
Rambo, who played much of Sunday’s game because of injuries to starter Da’Norris Searcy and backup Duke Williams, was a big key to the Bills’ victory on Sunday. Though Mario Williams made the game-sealing play with a strip of Aaron Rodgers that resulted in a safety, Rambo was a pest for Rodgers for much of the day. Coming into the game, Rodgers had only three interceptions. Rambo, a guy who was without a job for two months, picked him off twice. So yeah, maybe some folks in Washington were doing exactly what Dawkins thought they might be. "I don’t know, but I’m going to continue to try to improve and make them keep kicking themselves," Rambo said. 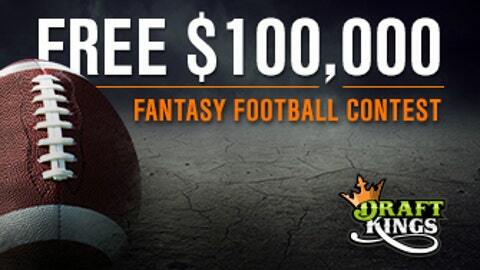 • FREE entry into $100K fantasy football contest! With a hearty laugh, he then added, "It’s a business." But it can be awfully pleasurable when it goes your way, and it did for Rambo on Sunday. The first interception was a great play by Rambo, who undercut Randall Cobb as Cobb was working from the offensive right slot position across the field. Rambo and cornerback Nickell Robey communicated perfectly on that play. Robey, who released Cobb when he realized what route he was running, pointed to Rambo as if to tell him, "Here he comes." Rambo had already seen it. There was an issue on the left side of the Bills’ defense because Jordy Nelson was running free, which Rodgers should have seen. But Rambo said his assignment was to cover Cobb, and he did that perfectly. "We had been practicing all week that I was going to take him if he ran that center route," Rambo said. "When I saw him, I just broke on the ball and I watched the quarterback. I saw (Rodgers) eyeing him like he was about to throw it. I just broke on it and made the play." Rambo said the Redskins told him he wasn’t in on enough plays to warrant sticking around in Washington, which is why his second interception was all the more sweeter. Even though Rambo admitted the deflection off Jarrett Boykin’s hands made the play an easy one (Boykin was covered closely by cornerback Ron Brooks, though it’s unclear whether Brooks got a hand on the ball), Rambo was in the right place to finish it off. "I read my keys. My guy ran away from it and somebody else took him, so I just freed up and watched the quarterback," Rambo said. "Just in the right place at the right time." For once, Rambo feels he’s in the right place. His story is one of perseverance and how the message the NFL can sometimes send an unemployed player — that he’s not good enough to be in the league — might not be as accurate as it seems. Rambo worked out for Buffalo last month along with four other defensive backs, including veterans Chris Clemons and Josh Bush, who have been in the league a combined nine seasons. Rambo won the battle and made the roster. "And then, during the practices we saw someone that was really athletic and can be physical. Even though we weren’t in that type of practice mode, he looked like he could break and do a lot of things," Bills coach Doug Marrone said. "We made good choices as we were switching some people out of the roster. He’s someone that, at one point, I remember we talked about him and said, ‘Hey, listen. We don’t want to lose this kid. We think he can play.’ And sure enough, I’m glad everything went that direction." Rambo called his two-month stint out of the league a "confidence killer." If that’s the case, Sunday’s game surely helped bring it back to life. "But my high school coach always told me the biggest room in the house is the room for improvement," he said. "That’s one thing I took with me because I’m always trying to improve. I had two picks off Aaron Rodgers but I could have done better. We all could have done better." But to end the league’s longest postseason drought, they’ll need two more victories. After Sunday’s very winnable matchup with the Raiders in Oakland, Week 17 takes them to Foxboro to meet the New England Patriots. After Sunday, no one should be taking the Bills lightly or counting them out of the playoffs. "I think they should respect us regardless. I think we come out every week and play hard and give every team a fight," wide receiver Sammy Watkins said. "We’ve just got to keep doing the same thing and maybe everybody will start believing in us." A play that probably won’t get as much attention as it should was the one Indianapolis Colts safety Sergio Brown made late in the team’s 17-10 victory over the Houston Texans to clinch the AFC South for the second straight year. Brown came from the middle of the field to break up what looked for a moment to be about a 40-yard catch by Texans receiver DeAndre Hopkins that would have moved the ball deep into Colts territory with just over 1:30 left in the game. What made the play so impressive was how Brown delivered a legal hit to Hopkins, who nearly made a terrific catch on a ball that just barely cleared Indy cornerback Vontae Davis’ hands. One play later, Davis picked off Tom Savage on a fourth-and-3 to seal the game and the division. "Man, I was going for the interception to tell you the truth. I thought I had it, but I was a little bit too slow," Brown told FOX Sports by phone from the Colts Grill in downtown Indy, where he and five other defensive backs were dining while being swarmed by fans. "I was waiting for that play for a couple of quarters." By that, Brown meant he was watching how Savage would always throw to the outside receivers when he saw a single-high safety. So as soon as Brown saw Savage commit to one side, he made his break. Once he realized the interception was out of the question, Brown had to knock the ball loose without creating helmet-to-helmet contact. It’s tough to do at full speed, as many a safety who has been penalized and/or fined has learned. "You just gotta pray, just stick the shoulder out as much as you can and go for it," Brown said. "At that point in time, (a penalty) is not even a thought anymore. It can’t be. If it is, you might miss the tackle or whatever. I’d just take the lashing if it happens. "But that’s a scary collision. He stayed on the outside. If he came toward the middle, it would get a flag or something." There was no flag. And there was no upset victory for Houston. So for the second straight year, the Colts have clinched their division before the middle of December. Many believed they fattened up their record against an incredibly weak AFC South last year and thus proved to be an easy out for the Patriots in the divisional round. This year, they have faced only six teams that currently have winning records and are 2-4 in those matchups. However, Brown believes this team is mentally tougher and ready to make a strong playoff push. "Each year, you get better and better on our path to greatness," said Brown, a fifth-year veteran who went to the Super Bowl with the Patriots three years ago. "Everybody is on track to do more, we understand a little better the position we’re in. We were a young team two years ago. When young kids get in the playoffs, they don’t understand how important it is, don’t understand the magnitude. It gets lost. "But now we’ve been to the playoffs. We know we’ve got to get hot and rolling. We’re more geared to make things happen. We know everything doesn’t last forever." 1. The real battle for Adrian Peterson during the appeal process wasn’t about getting back on the field this season. As I reported on Sunday morning on FOX Sports 1, it was about getting some money back and setting himself up as well as he could for the 2015 season. Two sources told FOX Sports the NFL Players Association tried to strike a compromise with the league ahead of Harold Henderson’s ruling in which Peterson would have sat out the Minnesota Vikings’ final three games but get back some of the $4 million-plus he’ll lose via his suspension and be reinstated well ahead of the April 15 date the NFL has set as the earliest point Peterson will be restored to active status. That reinstatement date will continue to be a point of negotiation. Even when the NFLPA files its lawsuit on Peterson’s behalf (a source said it could be as soon as Monday), the sides could still work out a deal to resolve the matter. For Peterson, getting reinstated at the start of the league year in March would be much more beneficial for him in finding a new team, if the Vikings cut him or ask him to take a pay cut. 2. I had some folks on Twitter suggesting to me the New York Jets should have let the Tennessee Titans score on their final play to secure a better draft pick. Sure, it makes sense, except for the fact the coaches have no idea if they’ll be back and the players on the field could cost themselves jobs next year with such an effort. The fans will be back next year. (If they’ve made it this far, they’ve suffered too much to quit at this point.) But everyone else is worried about himself. Dawan Landry, who knocked the Titans’ Delanie Walker out of bounds to end the game, will be a free agent at the end of the season. For all he knows, he could be a Titan, and maybe he helped his future team get a better draft pick next year. Point being, tanking in the NFL is extremely rare, particularly when it comes to individual players and coaches in the middle of a game. 3. FOX play-by-play man extraordinaire Kevin Burkhardt put it best while calling Johnny Manziel’s first NFL start when he said flatly, "This isn’t College Station anymore." And no play illustrated that more than when Manziel tried to throw a leaping floater over the middle of the field that was picked off by the Cincinnati Bengals’ Adam Jones. Throws across the body toward the middle of the field are never a good idea. Add in the leaping element and a pass with too much air under it, and you’re begging to have it intercepted. The Browns can only hope Manziel learned that lesson on that play and a few others. He seemed to pick up the pace of the game here and there as the day progressed, but it’s just too late in the season to expect him to get comfortable by Week 17. This is going to be a process that drags into next season at least. 4. Teddy Bridgewater, on the other hand, continues to look like he has the best feel for the pace of NFL play out of any rookie quarterback. That’s not to say he had a perfect day on Sunday, as he threw two interceptions. But he makes quick decisions, even if it means running the ball instead of throwing it. His 16-yard scramble on third-and-13 midway through the fourth quarter was the result of terrific recognition the Detroit Lions were in man coverage, thus giving him a chance to run at defenders who had their backs to him. Even if he didn’t get the first down, he would make Blair Walsh’s field-goal attempt more manageable. Walsh had an extremely manageable 26-yarder blocked, so it was all for naught. But Bridgewater (31-for-41 for 315 yards a touchdown and those two interceptions) has given the Minnesota Vikings reason to be pleased with his rookie season and his seemingly bright future. 5. I reported on FOX Sports 1 a few weeks ago Miami Dolphins owner Stephen Ross wasn’t itching to make a coaching change and, in a conversation with someone regarding his staff, spoke highly of Joe Philbin and the job he’s doing. (That person then relayed the story to FOX Sports.) Now, in the three weeks since that report, the Dolphins barely edged the Jets, lost to the Baltimore Ravens at home and were thrashed by the Patriots on Sunday. The good news for Philbin is his team closes the season with home games against the Vikings and Jets. Win both of those and the Dolphins finish 9-7. It likely won’t be good enough to get them into the playoffs, but Philbin could survive. Though this was the job everyone had pegged as Jim Harbaugh’s destination, indications are that won’t be the route Miami goes. And with a dearth of coaching candidates in general, Ross might not make a change at all. Of course, if the Dolphins drop one or both of their final games, all bets are off. 1. Tony Romo: His lack of mobility, the way he went down after barely being touched by defenders and his limping to and from the huddle should tell everyone watching just how much he’s hurting right now. 2. Tom Brady: Speaking of a lack of mobility, how about his 17-yard rush, which was his longest since 2007? Brady, who said he was "pissed off" at the lack of offensive production at the time, declined to slide. He was fired up after the play and so were his teammates. That was a hugely motivational run for the Patriots. 3. RG3: There were some flashes of his old self. There’s a reason why he shouldn’t start on Saturday. 4. New York Giants: As bad as they’ve been at times, they’ve shown they’ve got plenty of pieces in place, with Odell Beckham Jr. being foremost among them. Continuity will be a big factor for management to consider when deciding whether to retain Tom Coughlin for one more season. 5. Brandon Marshall and Danny Trevathan: Marshall has been holding down the fort at weak-side linebacker for the Denver Broncos while Trevathan has been injured. Trevathan had finally come back and now both got hurt on Sunday. Denver had better hope at least one of the two isn’t severely hurt. 6. Derek Carr: His 56 attempts were the third-most in a game for a rookie ever. The Raiders need to find some balance next year — or some better targets on the other end of those passes. 7. Greg Olsen: The Carolina Panthers’ tight end is quietly on his way to smashing his previous career highs for receptions (73) and yards (845). He has 81 catches and 960 yards with two games left to pad those stats. Without him, the Panthers would have been in serious trouble this year. 8. "Midget": In case anyone was wondering, the NFL didn’t take any action against Marvin Lewis for his controversial comment on Manziel last week. An AFC spokesman said Sunday Lewis wasn’t fined. No reason was given, though the fact Lewis apologized quickly and it occurred during a non-NFL event (e.g. a press conference) were surely factors. 9. Bruce Arians: Coach of the year. Again. Lock it up. No matter what happens over the next two weeks. 10. Marcus Mariota: Given the quarterback needs of the teams currently at the top of the draft order (looking at you, Tampa Bay Buccaneers, Titans and Jets) prepare for several months of posturing and maneuvering. Though the Bucs shouldn’t even think twice about trading out if they’re indeed No. 1 overall in the end.